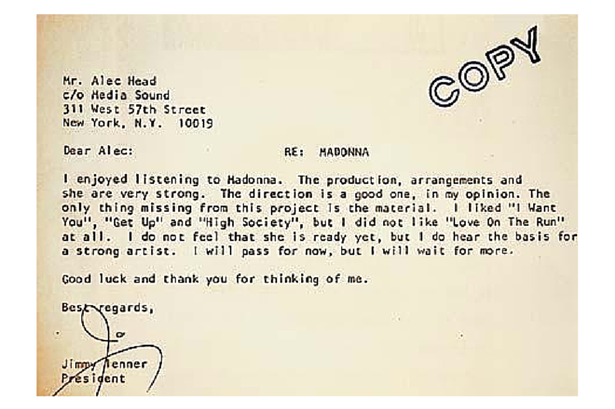 Why she was rejected: In the very early 80s the world hadn't heard of Madonna. By 1983 everybody would know her name. One record company said the thing "missing from this project is the material". What happened next: Over thirty years later and she's still a regular performer at the GRAMMYs, and still selling albums worldwide. Not bad, Madge. Not bad. Why it was rejected: The BBC initially rejected the script (despite Cleese's already-substantial reputation) because it was a "dire" collection of "cliches and stock characters". 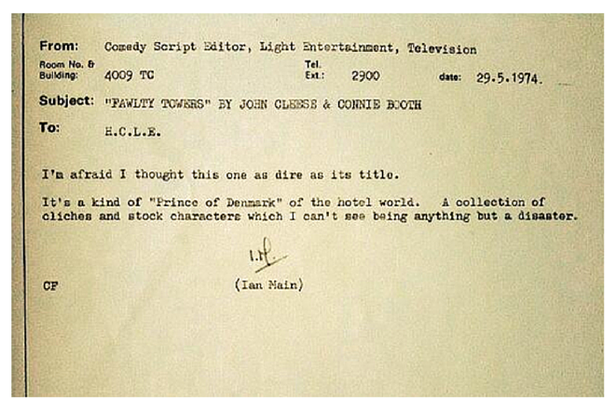 What happened next: Connie Booth and John Cleese's seminal sitcom Fawlty Towers is the gold standard for a golden generation in British comedy, it was eventually accepted by the BBC in 1975 - a year after this letter was written. 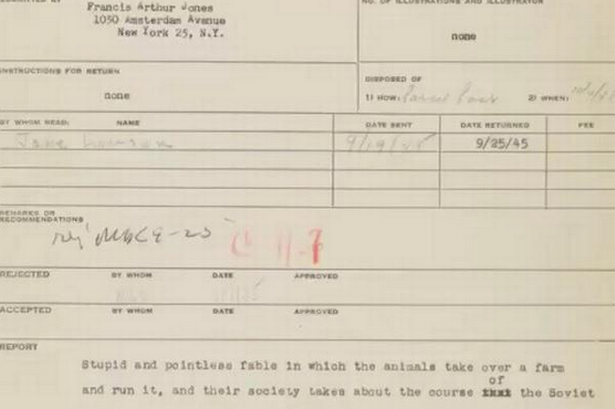 Why it was rejected: "Stupid and pointless fable in which animals take over a farm and run it." What happened next: George Orwell's Animal Farm went on to become a modern classic, and has been adapted for film and television. The book was published in August, 1945, in the UK, and this letter (dated September, 1945) is from an American publisher which refused the opportunity to publish the book in the US. 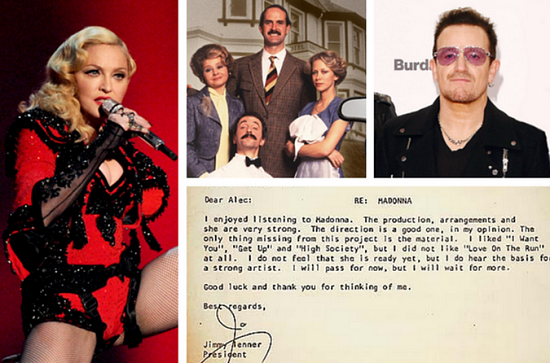 Why they were rejected: "[We] feel it is not suitable for us at present." 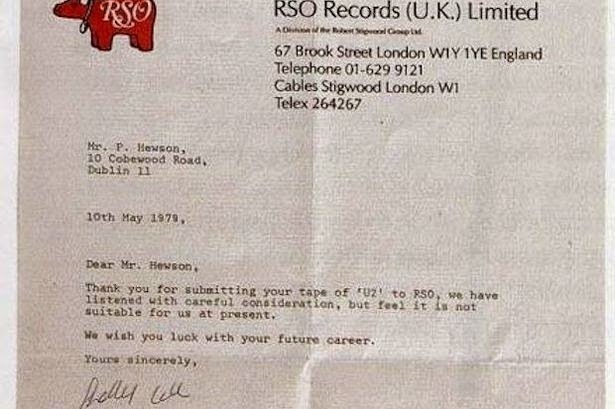 What happened next: This was hardly a scathing rejection letter for the four fresh-faced Irish lads, but it was a rejection nonetheless. They kept plugging away and, well, we all know what happened next. 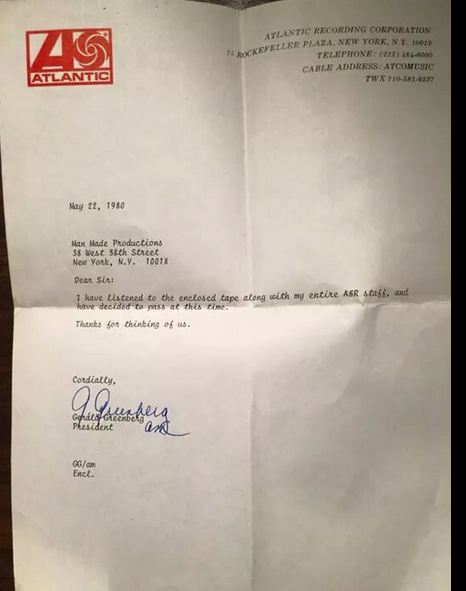 Why it was rejected: "I have listened to the enclosed tape along with my entire A&R staff, and have decided that it is not for us at this time." What happened next: Man Parrish isn't a household name, but you will almost certainly have heard his music. Parrish is a legend of the early 80s New York music scene, which saw budding artists congregate at Studio 54. His song "Hip Hop, Be Bop" was years ahead of its time, and laid down some of the blueprints for electro and hip hop. 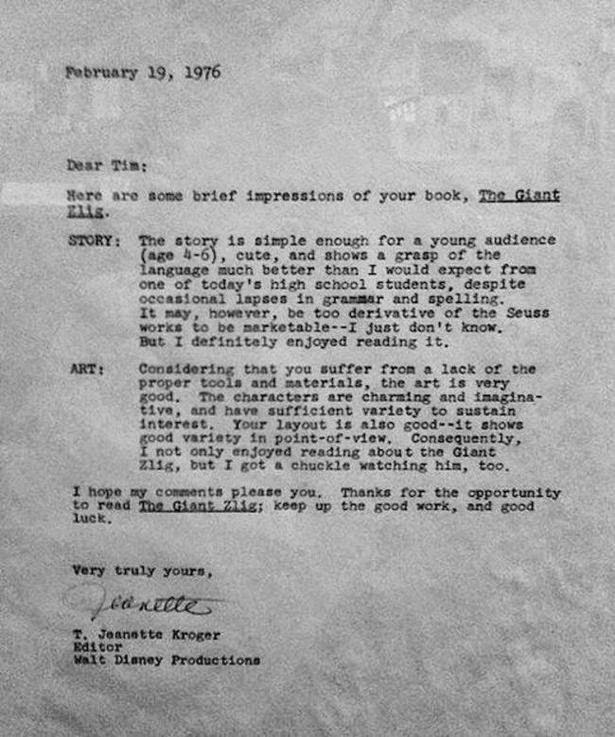 Why it was rejected: Technically this wasn't a rejection letter, but it shows some friendly advice from Disney to Tim Burton at a time when the (now) renowned film maker was honing his skills. What happened next: Beetlejuice, Batman, Edward Scissorhands, The Nightmare Before Christmas, Cabin Boy, James and the Giant Peach, Mars Attacks, Superman Lives, Sleepy Hollow, Planet of the Apes, Charlie and the Chocolate Factory... you get the idea. 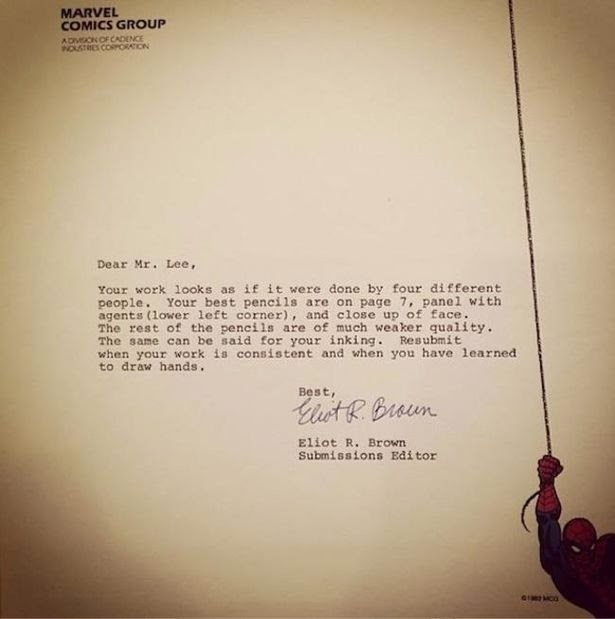 Why he was rejected: Jim Lee was rejected by Marvel Comics and told - "Resubmit when your work is consistent and when you have learned to draw hands." (ouch). What happened next: Jim Lee eventually got a job at Marvel, but is now a co-publisher at rivals DC Comics.